The South African Institute of Physics (SAIP) is the professional body representing the discipline of Physics in South Africa. 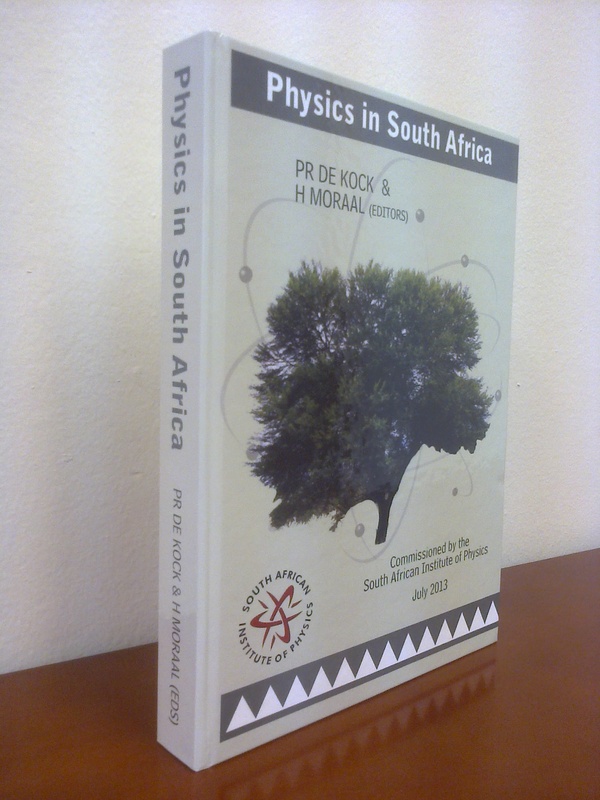 The Council of the SAIP commissioned this book – a chronicle of the professionally practiced research and tertiary-level teaching of Physics in South Africa, with some focus on the period for which the SAIP has been in existence. We are a relatively young professional body, having been founded in 1955. Nonetheless, we have reached the stage where we should carefully archive our historical records and take advantage of the opportunity to solicit the remaining recollections from living memory. This book is a result of this process. There was, however, another reason to commission this work. Physics in South Africa is currently in a stage of unprecedented growth. Part of the reason for this growth has been the advent of full democracy in South Africa. For another part, the membership of the SAIP itself can take some credit. Through its mission to be the “Voice of Physics”, the SAIP developed a programme to coordinate the many messages coming from the Physics Community, and to finally distill a series of recommendations. This project, which started in 2004, was called “Shaping the Future of Physics”. It had very essential support from government, its agencies, and also from international colleagues. Most of its fifteen recommendations have been implemented to some significant extent, and some of them rather substantially so. The effect on the discipline has been a trajectory of dramatically improving the health of the discipline. These events needed to be recorded, and are now part of this book. However, the role of the book should not simply be limited to recording the development of Physics in South Africa over this period. We would like to see it contribute to building excellence by recognising excellence, and to building the culture of learning and research, by providing this resource for analysis and discussion. We would like to inspire the next generation of physicists, since they stand, as always, on the shoulders of those who went before. But, there is an additional aspect which is peculiar to our South African history. We need to learn from our mistakes, and understand the consequences of our past, so that we can better move forward. Of course this refers to the Apartheid period, which led to exclusion from participation or prejudice of that participation, to the stunting of the growth of certain institutions, and to styles of interaction that required transformation. This has had a continuing (but now decreasing) legacy. Council hopes that this book will be part of the process of on-going development, and that it will stimulate the submission of additional material. The companion web-site to this book solicits accounts of the “untold stories” that will be used in a further edition of this book. In the meantime, since this book neared completion, Physics in South Africa has continued to grow. Very recent highlights have been the award of the majority of the international Square Kilometre Array (SKA) project to Africa led by South Africa, the participation of six South African institutions at CERN, with some of them participating directly in the discovery of the Higgs-like Boson, and the signing of a formal Association between South Africa and the European Synchrotron Radiation Facility. These represent some of the examples of the continuing trajectory of growth. Our largest threat to this growth, which we increasingly try to address with our partners, is the continuing poor state of basic education. This aspect has not been a focus of this book, but is a concern to which the physicists of South Africa are addressing themselves. It remains for me to thank the editors, Profs Runan de Kok and Harm Moraal, for their herculean effort in collecting and editing the material for this book and to wish you, the reader, a fruitful reading experience.